The second piece is a large matt black spool-like sculpture titled, ‘Self’ 2016. “It takes the form of the most basic expression of what it means to exist as an individual: the letter “I,” as a free-standing figure”. The work has been placed in the garden and can be seen from Freud’s own desk. By placing this work in the context of the Museum, the sculpture has obvious references including the formation of the id, ego, and superego. It is predicated on knowledge of the self and how it is constituted. 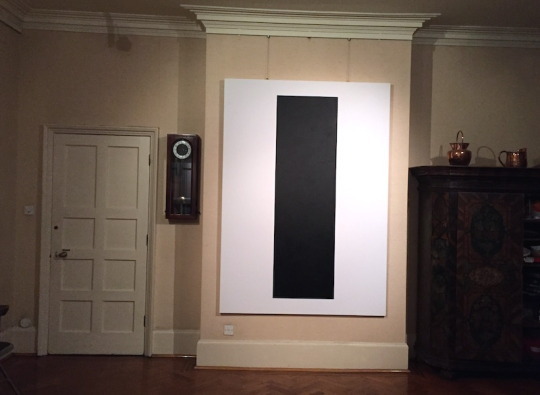 The final piece Self Portrait (Arial Black) 2008 is exhibited in the dinning room of the Queen Ann style home. The monolith or door creates an opening in the ornately corniced space. Could this be another reference to the Id or is it an escape hatch or portal to another space? Mark Wallinger is one of the UK’s leading contemporary artists. Having previously been nominated for the Turner Prize in 1995, he won in 2007 for his installation ‘State Britain’. His work ‘Ecce Homo’ (1999) was the first piece to occupy the empty plinth in Trafalgar Square. Later it was exhibited at the Venice Biennale in 2001 where Wallinger was Britain’s representative. Most recently, ‘Labyrinth’ (2013) a major and permanent commission for Art on the Underground, was created to celebrate 150 years of the London Underground. 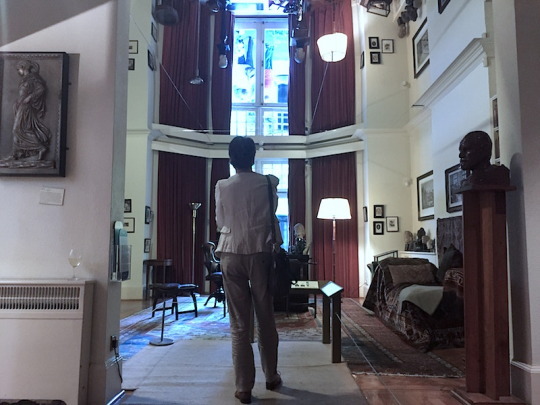 The Freud museum has continued to develop meaningful relationships with contemporary artists. Carol Seigel, Director, is adamant that the institution must remain relevant or it will become just another historic house. With groundbreaking shows by Gavin Turk and Mark Wallinger this year alone, it has successfully engaged a whole new generation of visitors.